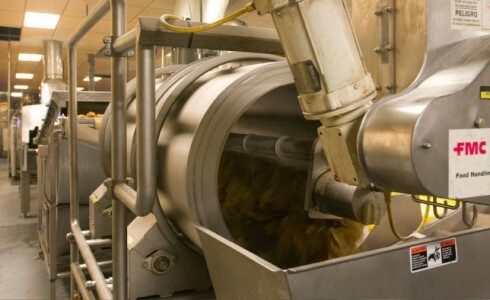 The process starts with our mixers, where we combine American-grown organic corn masa flour with water to form the dough. 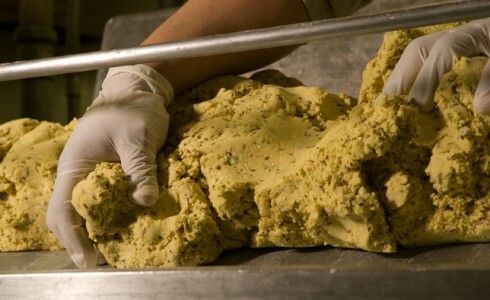 The dough is then pressed into our sheeter, which flattens the dough as it moves over “cookie” cutters to give it any shape we want! 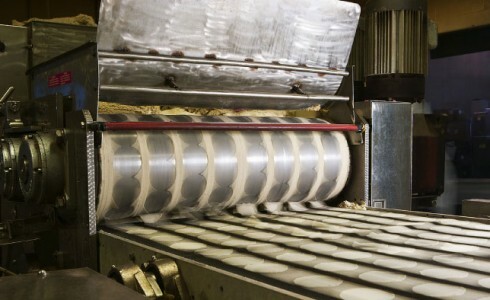 Following sheeting, the “die-cuts” enter our ovens. 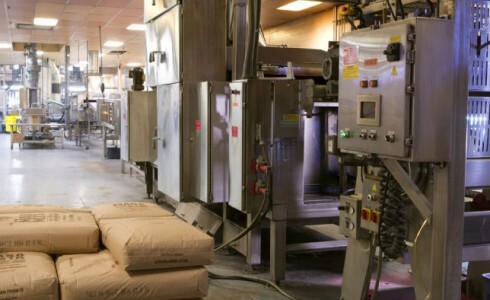 These ovens contain three layers, or belts, over which the chips pass to bake out moisture. A little Food Science lesson – fat content in a snack food is controlled by the moisture content prior to frying. These ovens can be as hot as 800 degrees! Don’t touch! 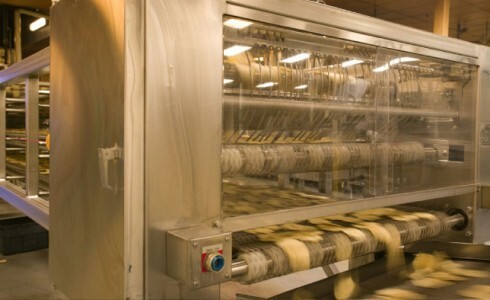 The die-cuts pass over three layers of cooling belts. These give them the opportunity to cool off and shed some more moisture before entering the fryer. 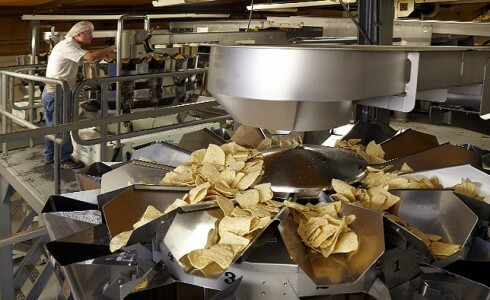 The chips are fried in oil for just under a minute before entering the tumbler, in which they will be salted and/or seasoned for their last touch of flavor! 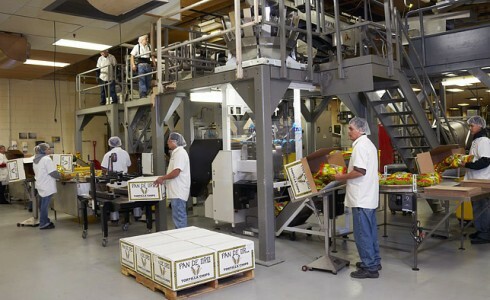 The chips are carried up an elevator to the baggers where they are properly weighed and packaged into our beautifully designed Pan De Oro bags. Finally, they’re boxed up, placed on pallets, and trucked to a store near you!